The casino is open 24/7, 362 days a year. On Anzac Day, Good Friday, and Christmas Day, the gaming floor is closed from 4:00 am until 12:00 pm. Set on the Yarra River, Crown Melbourne is more than just Victoria's best casino. The full-fledged entertainment complex and resort is the largest casino in the Southern Hemisphere. The Crown boasts delectable dining, spectacular nightlife, fabulous shopping, great accommodations, and so much more before you even hit the tables. When it comes to gaming, visitors can also count on 540 tables and 2628 electronic games. Although the casino is best known for hosting the internationally renowned Aussie Millions poker tournament, the venue offers some of the country's best roulette. 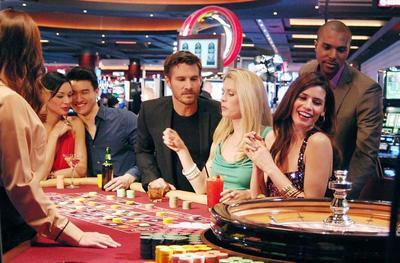 Enjoy your choice of traditional tables, automated rapid roulette, and even innovative match roulette. It's easy to be treated like a king no matter what your budget or skill level happens to be. Crown Melbourne gives you several ways to enjoy the storied casino game. If you are a traditionalist, you'll find dozens of conventional roulette tables staffed by proficient croupiers. Enjoy the option of playing either American or European roulette, although the latter tends to have higher table minimums. Like most casino games, the table minimums vary depending on where and when you play, but there's enough selection for just about every budget. Choose from $1, $2.50, $5, $10, or $25 tables to suit your needs. Naturally, VIPs can raise the stakes further in the Riverside, Teak, and Mahogany Rooms. No matter where you play, it's obviously worth sticking to the European version of the game for its superior payouts, provided it works with your bankroll. For faster gameplay, players can try their hand at rapid roulette. This semi-automated version of the game is run by a croupier and you'll be able to place your bets using a touchscreen terminal. Games aren't only much quicker, but bets start at just $0.50 and you don't have to worry about the usual roulette etiquette. It's equally great for beginners or anytime you can't find an open seat at a traditional roulette table. The casino also has fully automated roulette, for a complete digital experience that you can play at your own pace. If you're ready to take part in a revolution, roulette match is ready to triple your pleasure. The game features a mechanical roulette wheel plus two additional electronic wheels. Roulette match works just like the game your love, but you'll be able to place two additional side wagers on the number or colour. Speaking of wheels, even if your casino visit primarily revolves around roulette, the big wheel is worth a spin. The ease of play and fast-paced action always attracts a boisterous crowd that you won't want to miss. Although there's ample roulette action for even the most discerning player, it's only the beginning. The Crown boasts the largest selection of casino games in the nation. Play baccarat, blackjack, Caribbean stud, casino war, craps, Mississippi stud, pai gow, mini dice, poker war, pontoon pandemonium, rapid blackjack, sic bo, three card poker, and WSOP bonus Texas hold'em. Card fanatics will love the impressive tournament schedule and number of cash games at Crown Poker. Crown Melbourne is great for beginners and pros alike. Whether you are new to roulette or haven't played recently, you'll want to visit the Learn to Play Zone. It's a great way to get acquainted with the rules for free. Discover the game at your own pace or get assistance from experts. Like all reputable gaming establishments, Crown Melbourne is committed to responsible gaming. Players can easily set their own time and financial limits for gaming machines. The Crown Signature Club proves that gaming can be more rewarding than just the cash you win at the tables. The loyalty program gets you the recognition you reserve. Take advantage of everything from free parking and exclusive event invitations to free hotel accommodation and concierge service. As we mentioned earlier, VIP status also gives you access to private gaming areas that meet the needs of high rollers. The casino also runs regular promos. Enter to win luxury goods like Swiss timepieces or cash. You can even win the car of your dreams or a trip to Las Vegas. Don't forget to take advantage of the birthday bonus, which could net you loyalty points or $5,000. With new offers available all the time, it pays to consult the promo page before visiting. 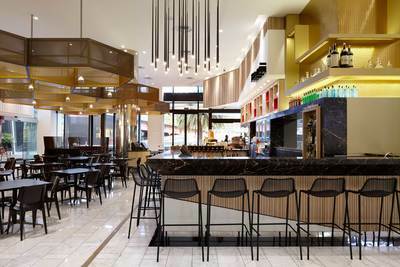 The Crown Melbourne features 29 delicious dining options. Whether you are looking for a quick bite, something casual but nourishing, or gastronomic delights crafted by celebrity chefs, expect to be thoroughly satiated. If you're looking for a refresher or feel like dancing the night away, you'll find 16 bars and 4 nightclubs on site. From quaint lounges with magnificent views to the hottest DJs entrancing a packed house until the break of dawn, there's something for everyone. 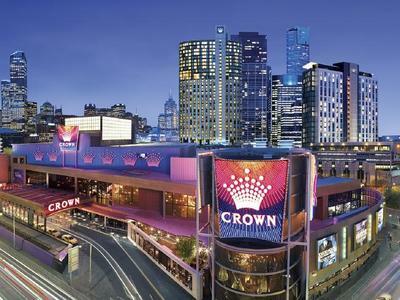 Crown Melbourne offers some of the city's best accommodations. With three majestic hotels on site, there's enough opulence for even the most finicky traveller. While you may never want to leave the comforts of your room, we recommend pampering yourself at the Isika Day Spa or Crown Spa. Enjoy everything from a relaxing dip in the vitality pool to a full rejuvenation treatment package. Aside from being steps away from the CBD, there's endless entertainment right on the premises. Internationally known acts from the world of music, comedy, dance, and magic have graced the Crown Melbourne Theatre stage. Both traditional sport and esport enthusiasts can take in the action at the Sports Hub. The Crown is family friendly too. Enjoy cinemas, bowling, and playtime games for all ages. Crown Melbourne accepts a whole host of Australian-friendly banking options. These include Visa, Mastercard, Maestro, PayPal, POLi, Neteller, Ukash, ClickandBuy, and many more.